This sign is located at N41 51.627 W80 57.126. 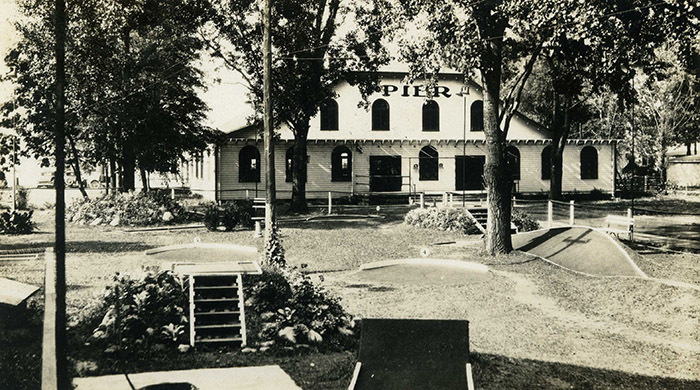 The Pier Ballroom was the grandest of its kind between Sandusky and New York. The dance hall was built by Eusebio and Martha Pera in 1928. It was located on the north side of The Strip, where The Landing is now located. 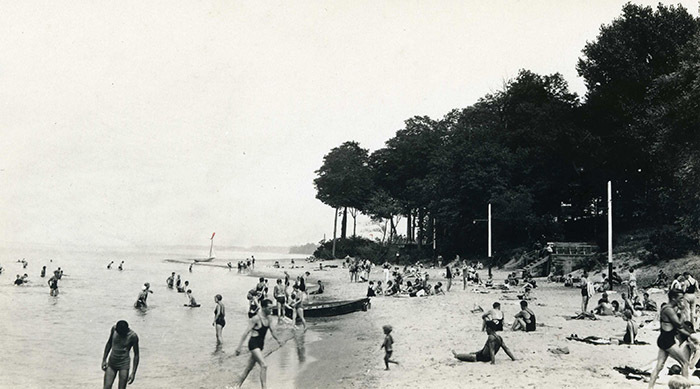 The Pier’s amenities included a beautiful beach and bath house, seen in the following photos. 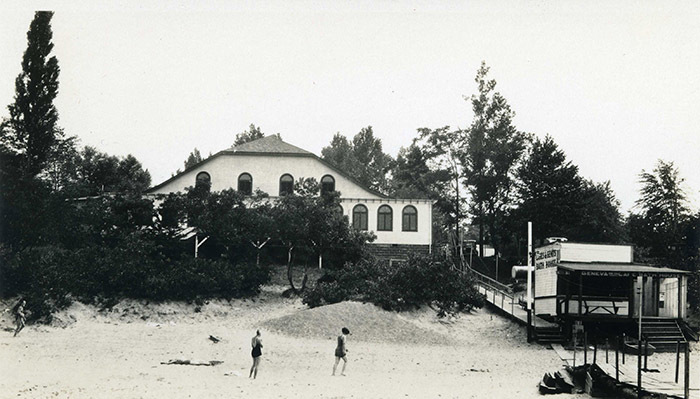 The Peras built the Pier Ballroom (left) and the Lakefront Hotel in the 1920s. 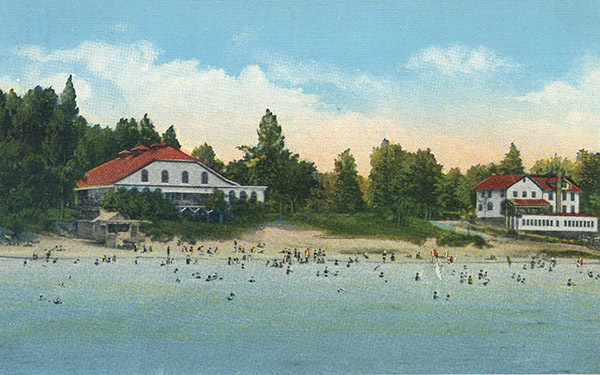 The Pier complex included a bath house on the beach. 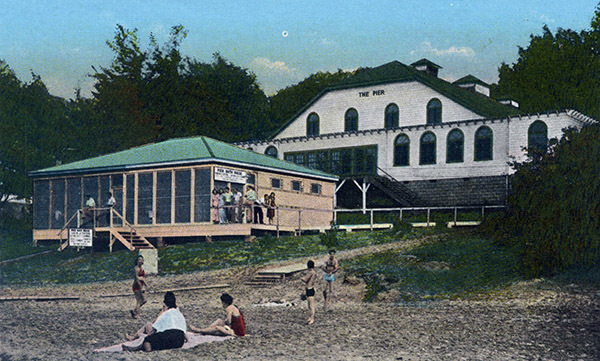 The ballroom opened in July 1928 as “The Breakers.” The name was selected from contest entries and stood until 1929, when the owners changed it to The Pier Ballroom. Eusebio Pera considered the ballroom his greatest accomplishment. Big bands like Glenn Miller, Lawrence Welk, Duke Ellington and Ozzie and Harriet Nelson played there. The dance hall held its last dance in 1976. Used for storage thereafter, it was razed in 1994. When the Great Depression hit, dance halls survived by charging by the dance. To make sure dancers cleared the floor, rope boys used long ropes that stretched across the length of the floor. The rope boys “swept” the floor clear of dancers by moving the rope across the floor and kept unauthorized dancers off the floor when the music played. Many nationally known bands/orchestras performed at the dance hall, including Glenn Miller, Gene Krupa, Lawrence Welk, Ozzie and Harriet Hilliard, Dorsey Brothers, Guy Lombardo, Tommy Tucker and Ben Bernie. Kay Kyser (1905-1985) was a frequent guest at The Pier and lodged at Shady Beach, owned by the Bowers family. Kyser’s rent was pennies a day. As Kyser’s fame increased in the 1930s, he brought his band members to the resort town and the orchestra stayed at Shady Beach. Kyser hit his stride in the 1940s with their radio show, “Kollege of Musical Knowledge,” strong performances and Kyser’s catchphrases, like “C,mon, chillum! Let’s dance!” The Peras, in a newspaper interview, described Kyser as a natural comedian. 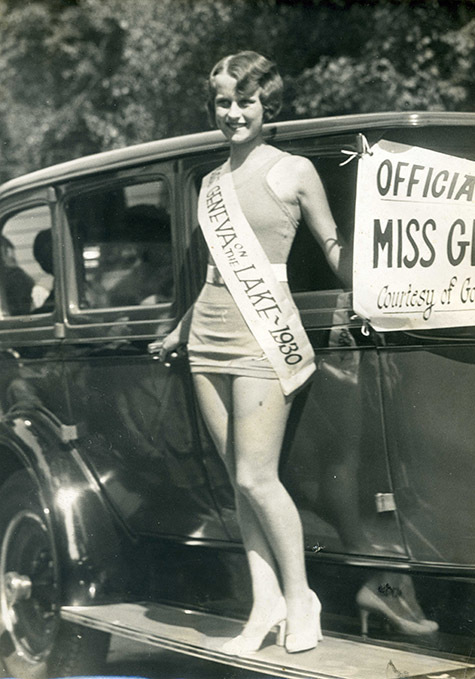 According to a Geneva Free Press article published Aug. 22, 1934, The Pier had hosted its eighth beauty contest preliminary event of the season. “The preliminaries in the all-American amateur dance and beauty contests are nearing a close. The eighth in the series was held last night at The Piero, Geneva on the Lake. Two more contests will be held. “Those selected last night in the beauty contest were: Agnes Quinn, Grace Hankey, Dorothy Hubbard, Hattie Kraus, Mabel E. King, Jennie Mackey and Ethel Hankey. “Winners in the elimination fox trot were: Edna Uitto and Albert Benson, Madelyn Strain and Joe Bush, Esther Roth and A.R, Isenberg, Ann Vetovich and David Forest, Madeline Sowers and Jerry Mosher, Grace Hankey and Bill Frank. 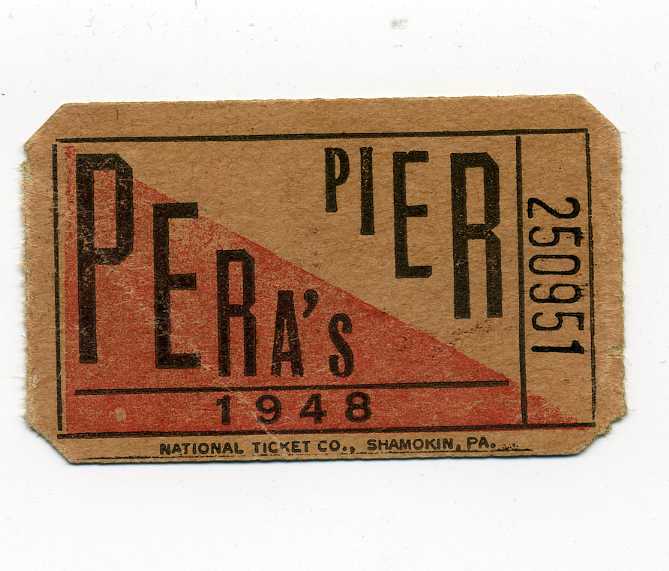 After World War II, The Pier underwent renovation to make it more appealing to spectators. A section just for spectators was added to the east side of the building in 1946. The band stand was relocated to the west side. The new bandstand was “restyled” and illuminated with colored lights to cast a soft glow and create a romantic atmosphere. 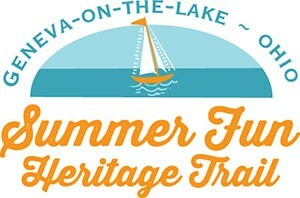 Bands that played at The Pier that summer included Freddie Shaffer’s Victory Sweethearts, an all-girl dance band. Dance halls eventually fell out of popularity with the public; the huge structures ended up being used for storage and, being built of wood, were fire traps. No example of a dance hall remains on The Strip.